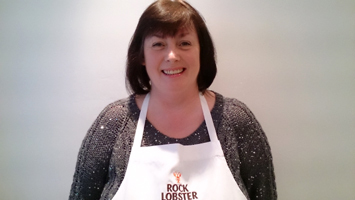 Congratulations to Denise Brennan , who has joined Rock Lobster Children’s Chocolate Parties as the chocolatier for the Glasgow North area, including Bishopbriggs, Bearsden, Milngavie and Kirkintilloch. Denise has a lot of enthusiasm for her new business and is keen to spread the word about how fun a chocolate party can be as part of as birthday celebration. On her very first day she was tapping into all her networks and bagged an order for a sleepover party of the hot chocolate spoons she has learnt to make in training. I was looking for a part time Job that would give me time to be with my daughter during the school holidays. 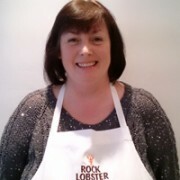 I found Rock lobster chocolate parties and thought it was a great idea to take on a franchise in my area.My daughter loves making chocolate, we have fun together and for me its the best job ever! Contact Denise through our Glasgow North page to find out her availability for children’s parties in the Glasgow area.